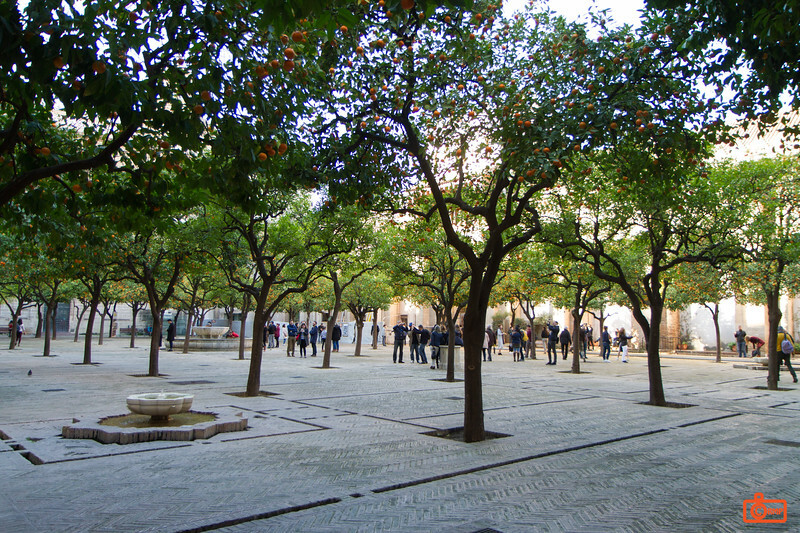 The courtyard of the Cathedral of Seville. This was originally the washing area for the Moorish mosque. It is full of orange trees, but the oranges are bitter.